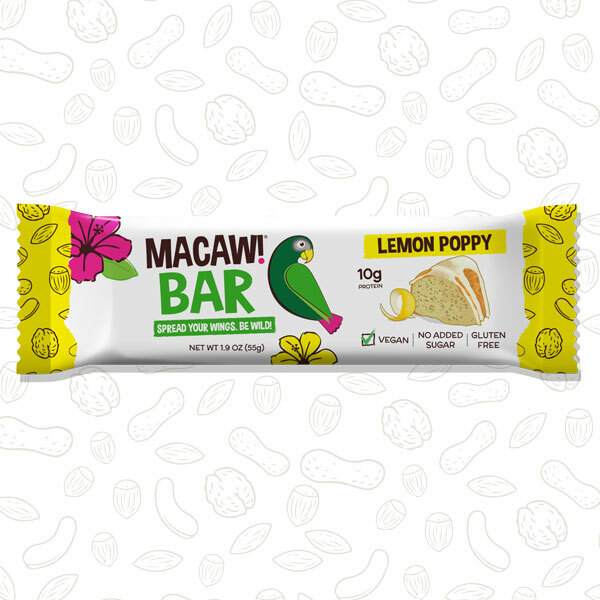 Lemon Poppy happens to be 1 of 3 vegan Macaw! Bar flavors. 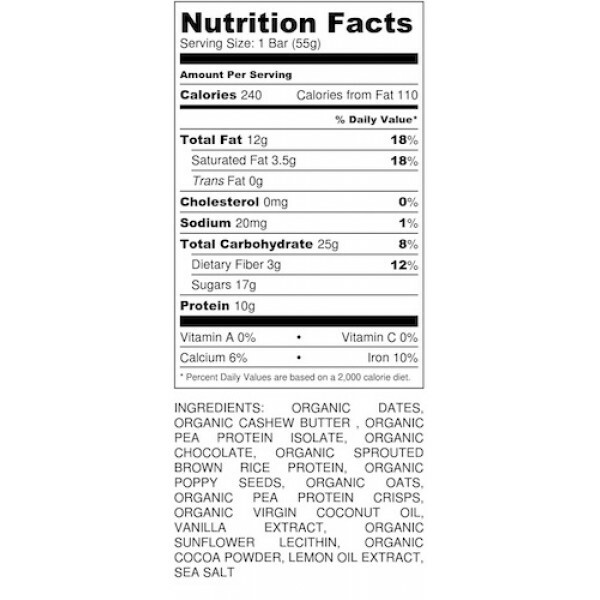 To avoid the earthy taste, and chalky texture typical of products containing vegan proteins, many hours were spent formulating just the right blend of organic brown rice protein and organic pea protein. Originally created for the grand opening of lululemon’s Winter Park location on Park Ave, this was a tricky recipe to formulate. To read the full story, you can click here. After the failed experimentation with several different forms of lemon, I was only left with one realistic option for achieving an authentic lemon flavor on such short notice. The zest of real lemons, of course. The trial bars turned out better than expected, and as a consequence, I wound up having to zest 30lbs of lemons just to fill that very first order of 500 Lemon Poppy bars. If you’re not familiar with the process, that’s a lot of zesting. The small pocket of incidental demand sparked by that single event, was good enough reason to bring Lemon Poppy on board as a permanent addition to the Macaw! Bar family. Unable to feasibly zest lemons for the rest of my life, natural lemon oil was discovered and quickly utilized. Pure oil, pressed from the skin of lemons, then bottled. Nothing else. It’s extremely potent and requires precise measurement in the kitchen. This bar is one of our three vegan flavors. 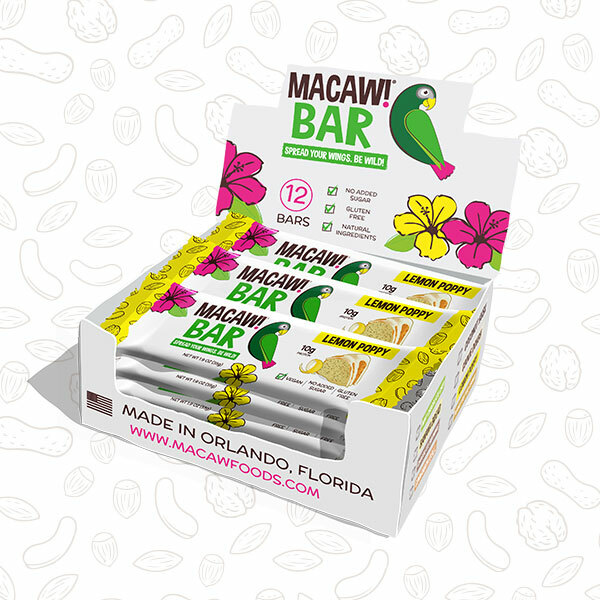 in order to boost protein levels of these bars we use a combination of organic pea protein and organic brown rice protein as opposed to the whey isolate found in our other popular flavors. The key to avoiding the chalky, 'earthy' texture is using the right combination and ratios of ingredients. Organic dark chocolate, oats, and poppy seeds are abundant in this recipe while pea protein isolate crisps add some crunch to each bite. Needless to say, the most important ingredient is real lemon oil extract, which is extremely potent and rich in flavor.